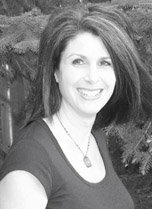 This week I’m happy to be interviewing Marina Cohen, torkidlit author of several middle-grade and young-adult books. I met Marina back in October, 2009 at our very first torkidlit tweetup. I’d arrived a bit late that night and so I got the seat of honor (a chair squeezed between the end of the table and a wooden pillar) Marina was sitting at the same end I was and was already deep in conversation with the other tweeps, who had arrived on time. You know, it’s one thing to arrive somewhere late, that’s bad enough. But to arrive late when you don’t know one single person you’re meeting and they’ve already been chatting it up for the half-hour it took you to find the place and park your car, that’s even worse. But right from the second I met Marina, I knew my tardiness wasn’t going to set me back one bit. She talked it up with me like we were old friends! That’s Marina. The kind of person who you feel like you’ve known your whole life, after just being introduced to her. So, who is Marina Cohen? Wow. Difficult question to start off with. The short answer is I’m a mother, a wife, a teacher and a dreamer. I’d love to add author to that list, but honestly, even three years after holding my first published novel in my hands it still feels so surreal. I have two middle-grade fantasy novels (Shadow of the Moon, Vanwell, 2007, Trick of the Light, Vanwell, 2007), a Y/A novel (Ghost Ride, Dundurn, 2009) and nine non-fiction books for children published to date. I also have another Y/A, Mind Gap, scheduled to be released in February 2011. Tell us a bit about GHOST RIDE. Ghost Ride is a Y/A thriller aimed especially (but not exclusively!) at reluctant male readers ages 12+. It’s about a 14-year-old named Sam who moves out of the city to an old mansion on the fringe of a small town. Desperate to make new friends, he makes the wrong ones and ends up getting involved in crazy stunts. One of these stunts goes really wrong and Sam is convinced to flee the scene. As he struggles with his conscience, a haunting question remains: Who else knows the truth? It’s definitely a ghost story and I’ve woven bits and pieces of the old Legend of Sleepy Hollow throughout the text. The story is actually set in Sleepy Hollow—a real location just north of Stouffville. Give us a teaser for your new novel, MIND GAP. So, you’ve had 13 – 13!! – books published. What made you actually sit down to write that very first book? It was a New Year’s resolution! I had been attempting to write on and off my entire life, but nothing seemed to work out. 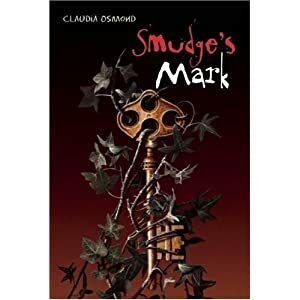 I got what I thought was a great idea for a children’s fantasy novel, but I didn’t write it (lacked the confidence in myself) for about 10 years. Then I turned that magical age of 35 and on New Year’s Day I decided to sit down and actually write the story that had been swimming in my head for so long. I completed the manuscript 6 months later. Of course it was rejected far and wide and only after months of re-writing, editing and chopping and years of submission was it finally accepted for publication. Yes. I really did. I wrote a lot when I was a kid. I wrote poetry and songs when I was a teen. I attempted to write an adult novel at the ripe old age of 21 and when that ended in disaster I turned to short stories and then finally found a home in kidlit. Are there any writers/artists/musicians you’ve been inspired by? Oh my gosh—so many. I read a lot of classics in university (Steinbeck, Hemmingway, Woolf) and wished I had such talent. Of course, being the horror and fantasy-lover that I am, I desperately wanted to write like Edgar Allen Poe, Stephen King, Anne Rice and of course J.K. Rowling. Ever since I can remember, I’ve been inspired by lyrics—there are entire novels in the songs of Paul Simon and Bruce Springsteen! I think, though, if I had to pick one person in children’s literature who has been my biggest inspiration, it would have to be Marsha Skrypuch. She’s not only an extremely talented and accomplished writer, Marsha took the time to mentor me. I seriously doubt I’d have ever been published had I not met Marsha. How do you manage to balance writing and the demands of everyday life? Ha! Not too well mostly. I try to keep a handle on my family, my job, my house and my writing, but things get crazy. Usually it’s the house that suffers—I mean family and job are no-brainers, but when forced to choose between writing and cleaning, well, all I can say is don’t drop by unannounced! Your life is so full and busy – WHY do you write? I think I write for the same reason most writers do—because we can’t NOT write! I guess I also enjoy escaping into my own little worlds. And honestly, I write to entertain myself. What’s been the most challenging thing about being a writer? I think the most challenging thing for me has been to remain confident. Prior to getting my first contract, I gave up so many times. Rejection after rejection can be so terribly devastating to one’s self-esteem as a writer. I’d often think that I just wasn’t good enough, that my writing just wasn’t good enough. I’d throw in the towel, only to pick it up and try again another day. And even after the validation of a publishing contract it’s still difficult—there are reviews and of course the next round of submissions. It’s a constant rollercoaster ride. What helps me is to stop every now and then and remember why I do this: Because I love it! What’s been the most rewarding thing about being a writer? Hearing from kids who love my books! Knowing that my stories are out there and being enjoyed by children and teens is the thrill of a lifetime! Keep your eyes peeled for when MIND GAP hits shelves. If it’s anything like GHOST RIDE, you won’t want to miss it!